I know this has been asked 1000 times, but i've tried everything in the first 2 pages of google so i've decided to come to you guys for help. I'm trying to create some dynamically added property panes. I'll have a column (on my sharepoint webpart) with a few tiles. I want to add different options for those tiles and i want to add the ability to add a tile with a button in the property pane. I've tried with arrays and such, but thats not the point. Once again, this is not the actual code! I'll update my question tomorrow with the actual code from my webpart, but it was so damn frustrating that i had to ask. If i add the array directly it won't be able to display all PropertyPanes that are saved in it (sine it will be an array of object i assume it needs a foreach or a for loop). 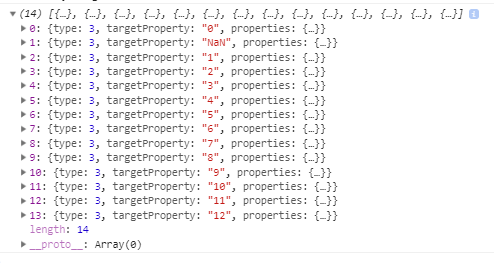 If i use the array with a target ex: myArray i do see a field. How were other people able to simply drop the array of object inside groupFields and have it render all of them? Every example that i've looked at does that. They create an array by using :any and array.push and then add it to groupFields. I am on SPFX 1.6.0. Is there a different way to do t now or what am i missing? React State in Property Pane?